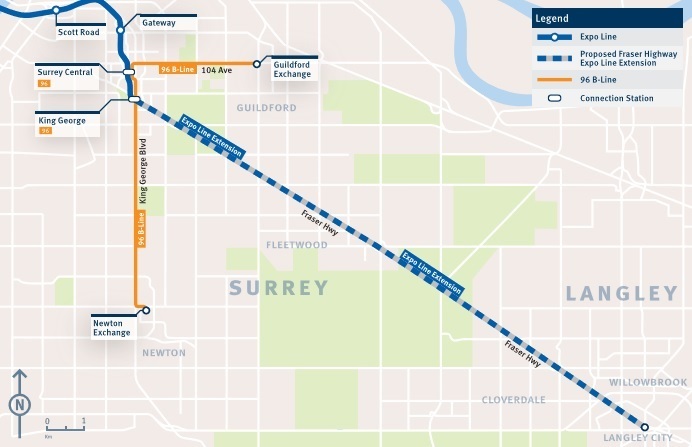 plus rapid transit on 104th Avenue and King George Blvd. corridors. Residents are encouraged to take online surveys at surreylangleyskytrain.ca . and your feeback will be presented in a report to the mayors this summer.